Pizzas or man’oushé (in Lebanon) and me have had a convoluted history. To me, a good pizza is all about the base. For years, I have been trying to make the perfect pizza base: it needs to have bite, be thin and crisp and, ideally, a little charred in places. A big call for a domestic oven. I have tried many recipes, the best of which require a couple of days to prove. But the problem is: inevitably, it will be 5:00pm and I will ask Maus, “What do you want for dinner?” Or I will say, “I feel like pizza tonight.” Tonight being the operative word here. I want pizza tonight, not tomorrow or the next day. This has led to most of my pizza bases being made with instant yeast. I have finally concluded that it is the way to go. Pizzas are supposed to be quick and easy meals, not tortuous affairs. I don’t think it matters too much what recipe you use, as long as you do three things you will get a very good pizza, though not as good as a pizza from a wood-fired oven. Cook your pizza directly on a pizza stone or tile (no pan). Have a very hot oven. That means your oven needs to be preheated as hot as it will go (which, for domestic ovens, is usually 250°C). Have a hot stone. Put your pizza stone or tile in the oven and turn it on, at least, one hour before you want to cook your pizza. Do these three things and you will, with a bit of trial and error, get pizzas as good as it gets in a domestic oven. Last night’s pizzas were fantastic. The recipes I used are man’oushé with spinach and cheese and man’oushé with za’atar, both from Saha, by Greg and Lucy Malouf. Mix the yeast and sugar into the warm water and set aside for a minute or two. Add the salt to the flour and stir to combine. Add the water mixture and the olive oil to the flour mixture. After an hour or so, put your tile or stone in your oven and preheat your oven to 250°C. Divide the dough into 12, 6 or 3 pieces (depending on the size you want). Form into small balls and let rest for 10 minutes. Roll out your dough to the thickness you prefer. We like ours thin. I went for six portions and rolled them out to the size of butter plates. Add your topping and put your man’oushé on a well floured paddle, upside down baking tray or piece of three-ply. Slide your man’oushé onto the hot tile. 1 bunch of spinach, cooked until wilted or 250g of defrosted frozen spinach – squeeze out as much fluid as possible. Combine all ingredients. This makes enough for all of the base so if you are doing both toppings, you may wish to halve it. * I think these are 15 mil tablespoons. Greg doesn’t advise in Saha but, in Arabesque, he uses 15 mil tablespoons. 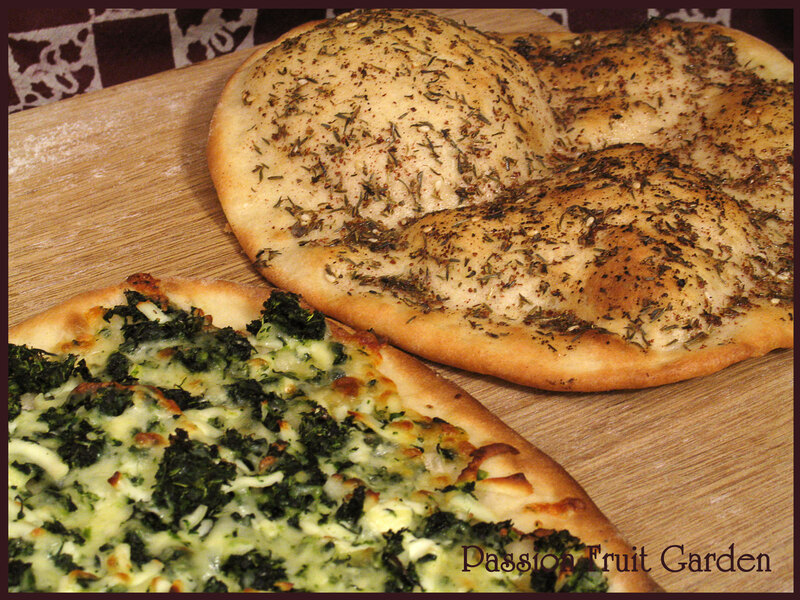 This entry was posted in Bread, Commercial yeast, Vegetarian and tagged How to cook a pizza in a domestic oven, Lebanese pizza, Perfect pizza in a domestic oven, Pizza with spinach and cheese topping, Pizza with za'atar by Glenda. Bookmark the permalink. I got to admit, I got hungry when I saw those pictures. It also could be because I am hungry right now. 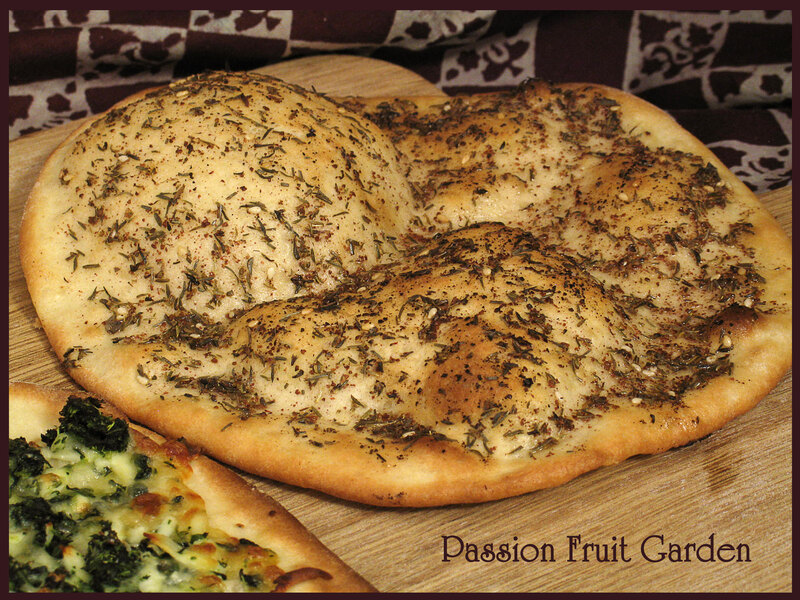 For quite some time I have been growing plants that are referred to as Zaatar in Fresno, California. Many people told me that you cannot grow these type of plants in America, I proved them wrong and now I enjoy fresh crushed Zaatar on anything I eat. Making my own Zaatar mix and making creative Zaatar mixes as well. Hiya, the Za’atar I am referring to here is the spice mix which included thyme, sumac, sesame seeds salt etc. I wonder what plant you are growing? Do you know its botanical name? Thymbra Spicata, Origanium Syriacum, Conehead thyme, Pink Savory & Winter Savory, etc.. These are the herbs that I love to grow and propagate. These are the authentic herbs used to create the Zaatar Mix. They grow wild in the hills of Lebanon, Turkey, Syria, Jorden and Israel. I just made pizza Sunday – my personal favorite is a white pizza (no tomato sauce & lots of cheese). Yours looks great & I’ve never tried the instant yeast yet I have no idea why not. I also NEED a pizza stone! One thing I want to try is to cook it outside on the grill. Hi Sharmila. I hope you enjoy them. Hi to Andrew. Glenda they look amazing. The bases look perfect. Hi Ella, I hope you are keeping a list of all the things you need! Hi John, I dream of a wood pizza oven but it is really not that sensible. Hi Glenda, You wouldn’t believe it, I just bought a new Pizza Stone the other day when I bought the new Scone Cutters so I look forward to trying these recipe’s. Hi Deb, don’t forget the three tips and you will be fine. Start with small pizzas as they are easier to handle and make sure you have lots of flour on the board on which you are sliding them into the oven. Everything else is a breeze. That sounds like a great idea Sandra. I don’t have a charcoal weber but I love the idea. love the look of your pizzas..i’ve tried all sorts of pizza techniques and recipes but i’m not consistent enough to have determined what works best for me..although i have found that the base needs a bit of prior cooking before some toppings such as proscuitto are added otherwise they overcook before the base is done..
Hi Jane. I think the best advice all round is hot, hot, hot. I have seen people try and bake a pizza in a 180C oven. It just doesn’t work. 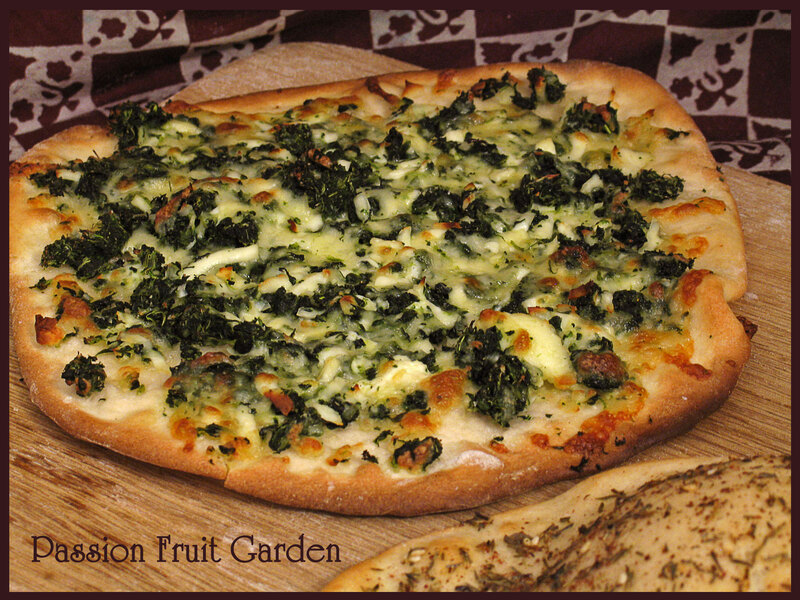 Your recipe for the pizza base is similar to mine, Glenda… I find it hard to source fresh yeast these days… but the instant yeast is quite excellent… love this recipe! Hi Celia, It is interesting he doesn’t like sumac as it is not a strong flavour. What interesting toppings. My vegetarian son has introduced me to non conventional pizza flavours. I’m going to share yours with him and get him to make it for me. (He makes great pizzas). Hi Mary, How wonderful to have someone make pizzas for you, especially if they are good at it.